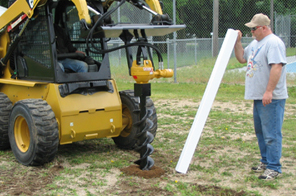 Shaver Manufacturing has everything you're looking for when it comes to powerful post drivers and post hole diggers. And they offer the features you need: speed, efficiency, and durability. Shaver's professional-grade post drivers are engineered for the most demanding jobs. Shaver's lineup of professional-grade post hole diggers gives you the power to dig holes to the depth and diameter you need.